Decorating the Christmas tree in my very first home was very exciting. I opted for silver and white decorations. Every item picked and debated on. I wanted my tree to be a very classy affair. Silver and white was our natural theme every year. For years Darren pestered me to update our decorations, he wanted to add a splash of colour. I finally gave in a few years ago. 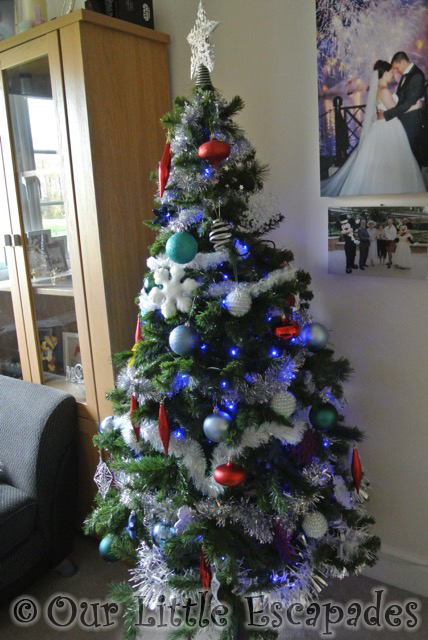 Colour was added to our Christmas tree. Now our decorations on our Christmas tree have a different meaning. We still have the silver and white decorations originally purchased by me. There is also the color added by Darren. But now are Christmas tree holds decorations enhanced by our memories. 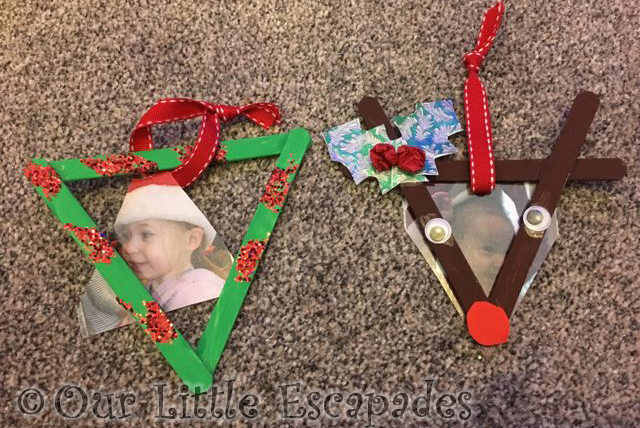 Our tree decorations started to change when the children started to bring home their Christmas arts and crafts. Every hand-made trinket has been lovingly placed onto our tree. We still have decorations that Ethan made when he was at nursery. I make sure they are packed up nice and safe every year. Whenever I went on a Disney adventure I would bring my mum home a Christmas decoration for her tree. On our wedding trip we purchased our own Disney Christmas decorations. Being over ten years old I do have to replace a few due to damage but I have already spotted those ornament’s online. 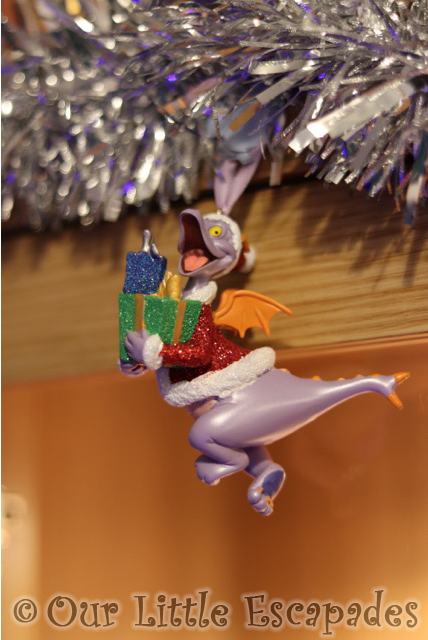 We added to our Disney collection on our trip last year picking a Figment ornament to remember our trip. Over the years we have had a few Christmas themed days out. Our visit last year to Marsh Farm was lovely. 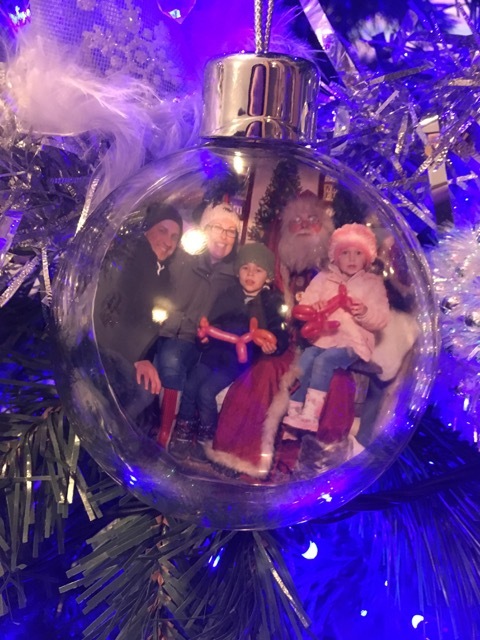 We had the added bonus of our Father Christmas photo being made into a Christmas decoration. I really hope this option is available for our Santa visit this year, as I would love to start collecting our photos this way. I think it’s a great way to remember visiting Santa through the years. I love that our Christmas tree is now full of memories and not just generic decorations. It’s lovely to have these memories come flooding back as you get ready to celebrate Christmas. I’m sure we will continue to add to our collection. I really hope the tradition of the children making us a Christmas ornament continues for a few years yet. DISCLOSURE – This post is in collaboration with Cox&Cox.